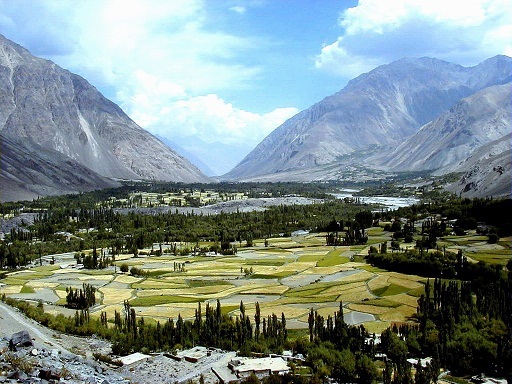 Chitral is the capital of Chitral District of Khyber Pukhtunkhwa, Chitral or Chetrar translated as field in the native language Khowar, situated on the western bank of the Kunar River (also called Chitral River) in Pakistan. The town is at the foot of Tirich Mir, the highest peak of the Hindukush mountain range, (7708 m) high. The altitude of the valley is 3,700 ft (1,100 m). Chitral valley is one of the remotest but extremely beautiful valleys of Pakistan. It is guarded by two passes of Lowari accessible from Dir and Shandur from Gilgit/Baltistan region. Visit to these valleys will be one of the unforgettable experience in your life time. TOUR PLAN: Day 01: Morning drive from Islamabad to Dir or Swat. Arrive and transfer to the hotel. Overnight at the hotel. Day 02: After breakfast drive to Chitral via Lowari Pass. Arrival in Chitral and transfer to hotel in Chitral. Proceed to visit local Chitral town. Overnight at the hotel. Day 03: Breakfast at the hotel. Morning drive to Kalash Valley by Willy Jeep. Visit Bamboret local area. Overnight at the hotel in Bamboret. Day 04: After breakfast proceed for full day excursion to Rambur & Birir Valleys of Kalash Valley. Drive back to Bamboret. Overnight stay in Bamboret. Day 05: Breakfast at the hotel. Drive back to Chitral arrive and transfer to the hotel. PM. Proceed to visit Garam Chashma. Overnight in Chitral. Day 06: After breakfast drive back to Dir or Swat. Arrive and transfer to the hotel in Dir or Swat. Short City tour of Swat Valley. Overnight at the hotel. Day 07: Breakfast at the hotel. Morning drive to Islamabad. Arrive & transfer to your desired address or to the airport.